Nani New movie: Natural Star Nani is acting as Farmer in his new movie, That's what Tollywood is saying. 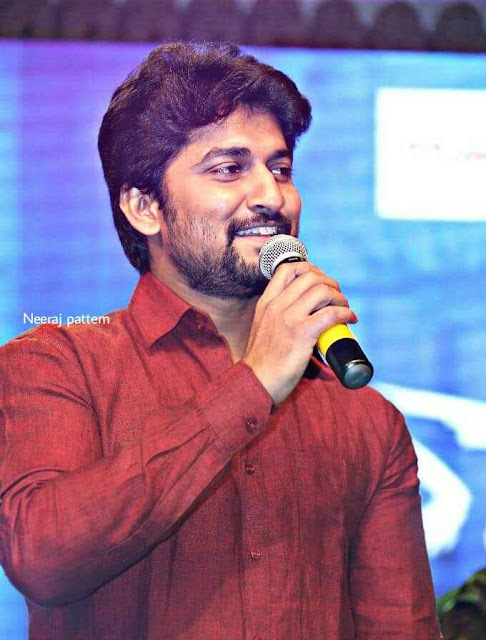 There are reports that Nani is playing the role of farmer of rural backdrop which is directed by Kishorudu. Recently Kishoru .and Nani have discussed the story of Nani New movie together. It seems that Nani liked the story and said he was okay. If it is true, Nani will be as farmer in his New movie. The film will be produced on 14 Reels Plus banner. Nani has also had a good hit with 'Devdas' recently released. While the film was in the shoot, and Nani next movie 'Jersey' was launched. Gautham Tannoori is directing this film. Sradha Srinath and Reba Monica John are acting as heroines . Sunita Entertainments banner. Suryadevara Nagavansi is the producer. It seems that Nani is dual role. Filmnagar talk about Nani in dual role as son and father. This is about Natural Star appears in the role of Farmer?Nani New movie have a look . Please feel free to comment below and share. Bigg Boss Telugu Season 2 12th week eviction: Is this reason for Nuthan Naidu's elimination? Bad news : Bigg Boss is ready to make Kaushal the ‘King’ Bigg Boss Telugu Season 2. Bigg Boss 2 Double Elimination This Week? Bigg Boss 2 Telugu Deepthi to be eliminated bigg Boss Telugu Season 2. Bigg Boss Telugu Season 3 Contestants List With Bigg Boss season 3 Telugu Host!